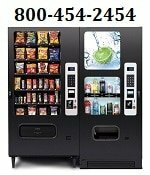 REFURBISHED PIZZA VENDING MACHINES FOR SALE- CALIFORNIA–Hot Food Vending Machines and all parts included!! From frozen to fresh oven baked food in 90 seconds or less. 26 Refurbished Machines, and 4 or 5 R&D machines with no mileage (example… IHOP and Jack-in-the-box). These machines were produced by Hot Choice (KRH). ASKING ONLY $75,000 $39,000!!! Machines and large amounts of parts, are on pallets and ready to ship. Location ready. GREAT DEAL-MAKE OFFER-ALL OFFERS CONSIDERED!!!! This machine has three cooking features to ensure hot fresh oven cooked food (micro to thaw, brick type 400 degree oven, and thermo air for browning). Most of the machines are branded for pizza, but bring your own menu and serve anything you want. Easy to change out facings. I have business plans and forecasts for the entrepreneur that wants a SIX FIGURE INCOME. Call John 714-801-2059. Our PIZZA TOUCH machine boasts high technology and a system that allows you to remotely track everything that happens on the machine in real time. Our ovens bake the pizza like a professional, without losing out to a pizza prepared in a pizzeria. The Best Pizza Vending Machines in USA! World’s No.1 French Fry Vending Machine!! -35 seconds process! Fry in any type of oil, any frozen potato, any type and size, any manufacture, using any type of sauce and salt. All this in 35 seconds, in oil. Yes. Great machine, pneumatic. Power 16A. Machine represents in Milano and Koeln trade show. French fries Fry in oil have a great taste and feeling, like any fast food production. Taste is much better than the air machine!! Visit website.